Part of building your own personal brand — whether as an athlete, model or actor — is to publicize your talents. 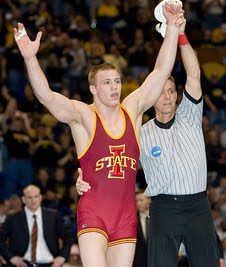 A good example is Jake Varner, a two-time NCAA champion wrestler who was recently named Iowa State’s male athlete of the year for the 2009-2010 academic year. 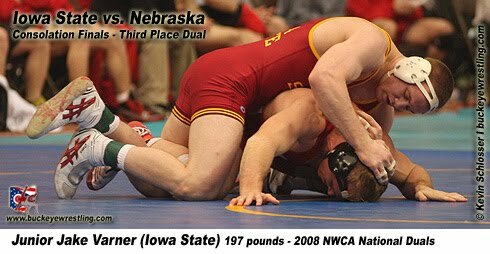 Varner, a two-time NCAA champion at 197 pounds, capped one of the most successful seasons and careers in Iowa State history with 31-0 season. He was also a Midlands Championships and Big 12 Championship titlist in 2010. This talented 24-year-old jock maintains an official Website, Jakevarner.com, that's stocked with photos, bio information, blog postings and even a call for donations to support his career. You can also find some of his most recent wrestling videos on Youtube. This muscular, well-built wrestler is certainly someone to keep our eyes on.